Keep their toes protected on the toes and protect them in the boots. Put on your winter fashion in these cute boots! These short ankle boots feature a round toe with buckled trim and an internal wool lining in cow suede upper. The insole and tread rubber sole are designed with premium padding. The best quality materials must be your favorite. Looking for ideal Cow Suede Leather Manufacturer & supplier ? We have a wide selection at great prices to help you get creative. All the Winter Warm Fuzzy Boots are quality guaranteed. 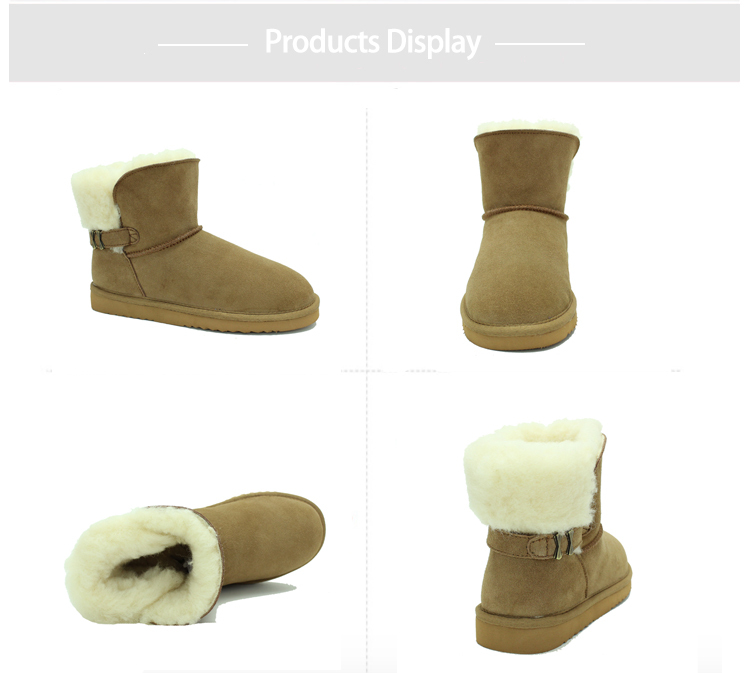 We are China Origin Factory of Buckles for Boots. If you have any question, please feel free to contact us.